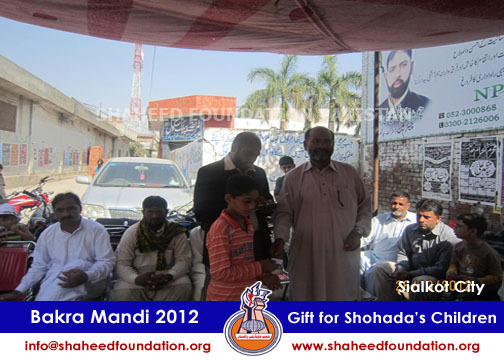 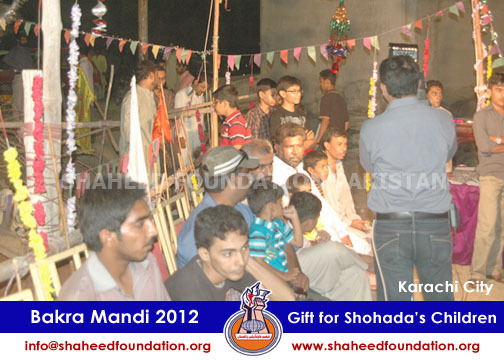 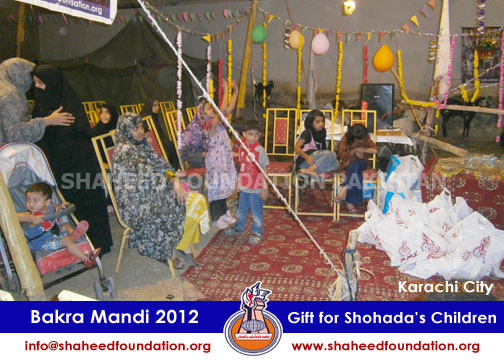 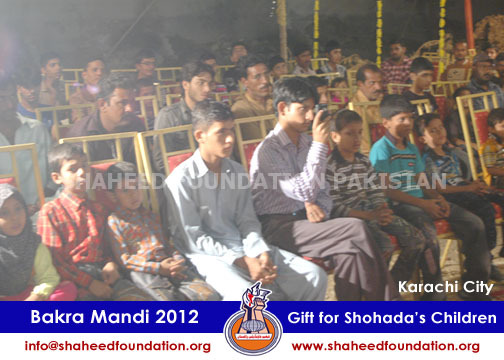 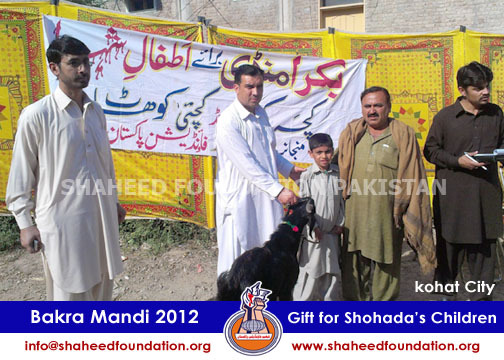 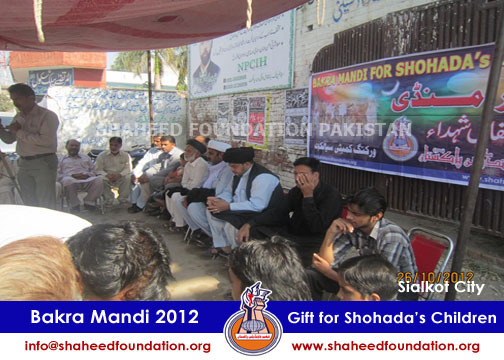 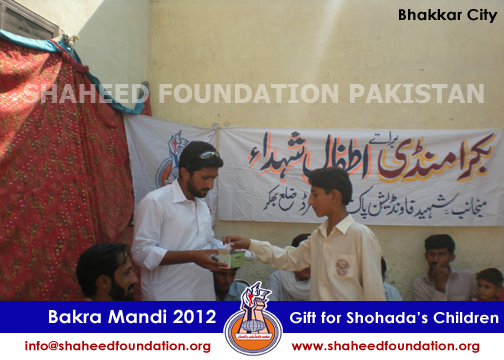 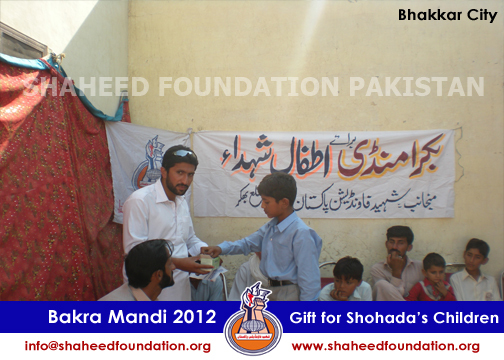 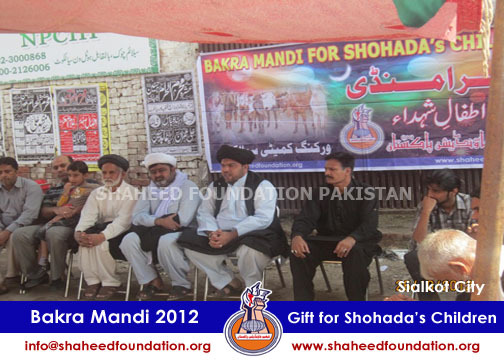 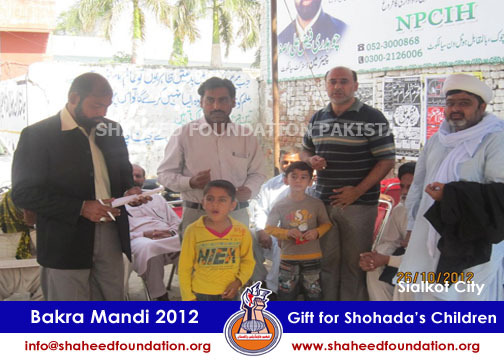 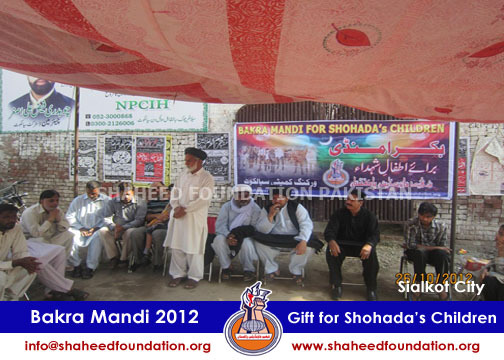 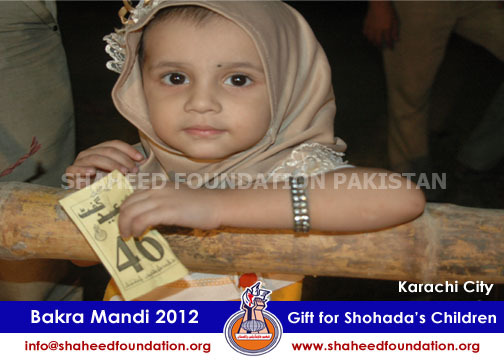 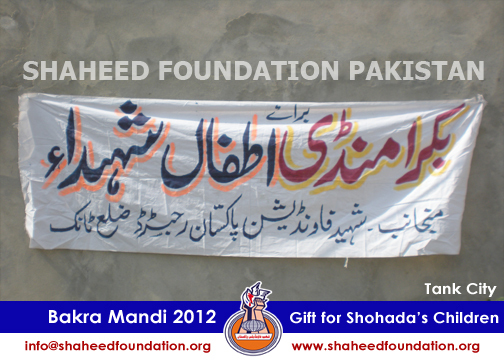 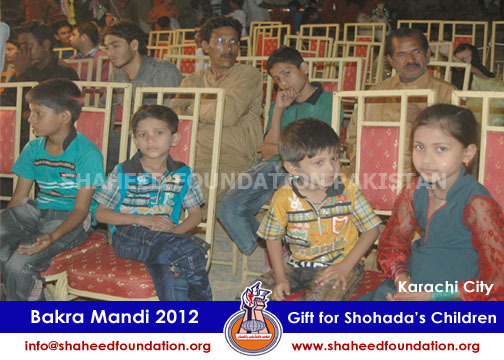 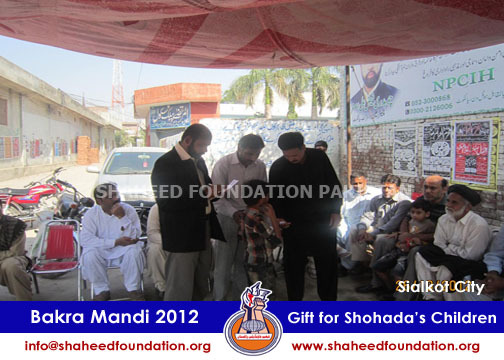 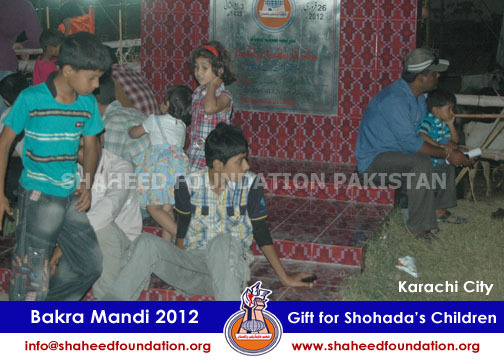 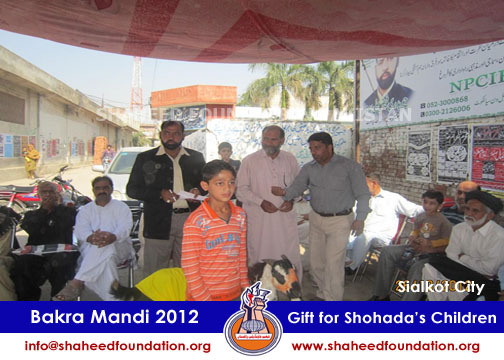 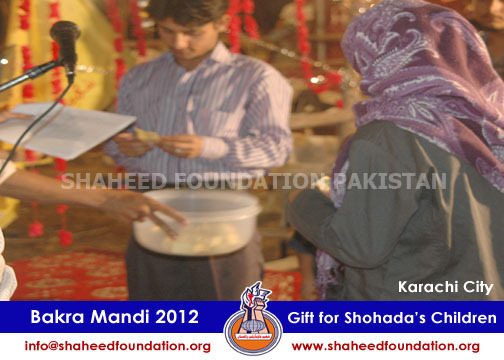 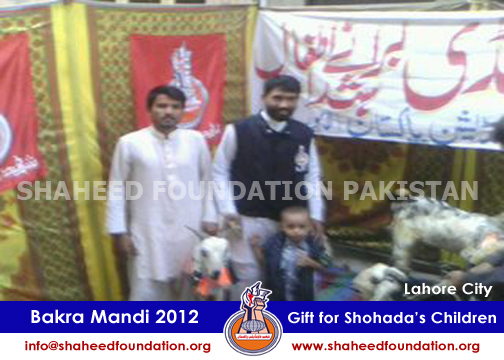 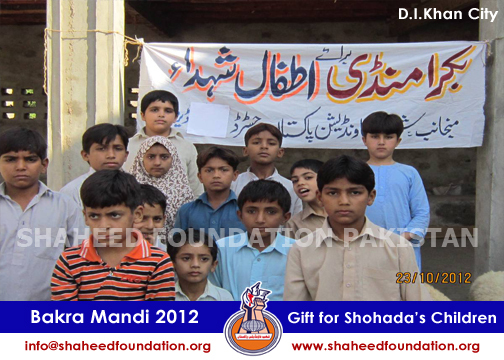 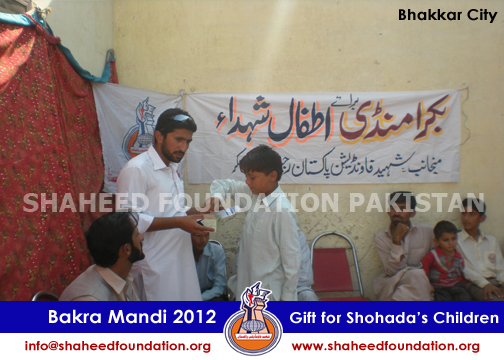 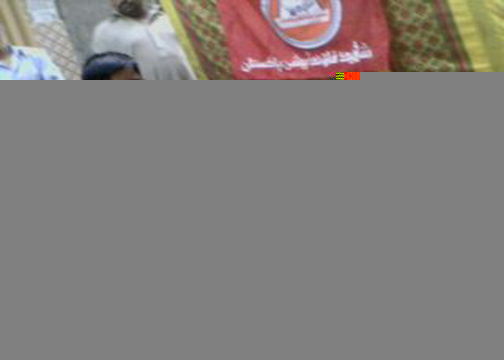 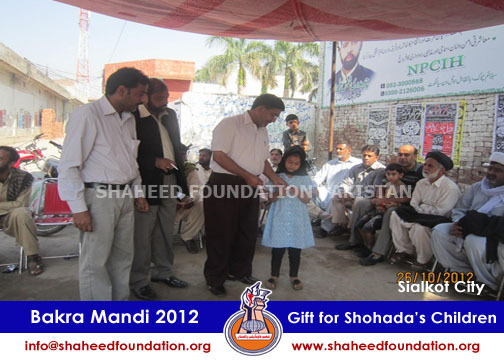 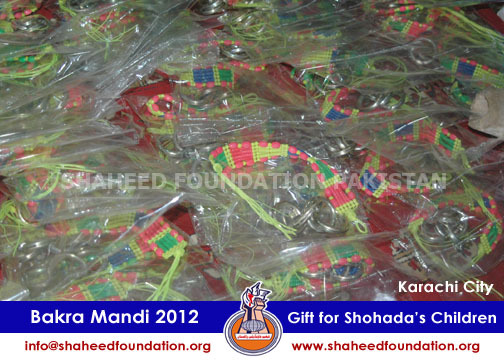 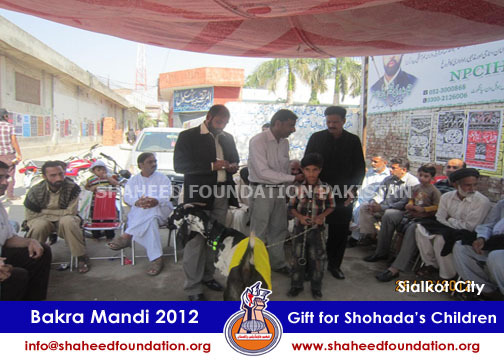 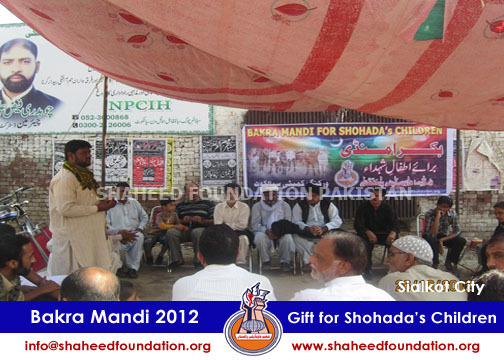 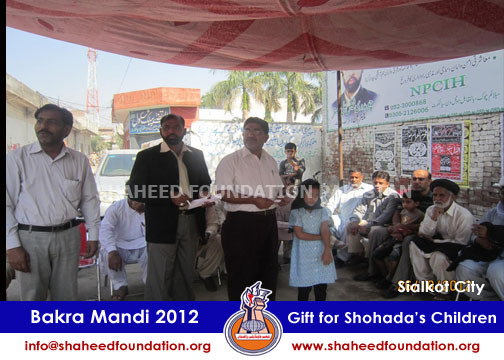 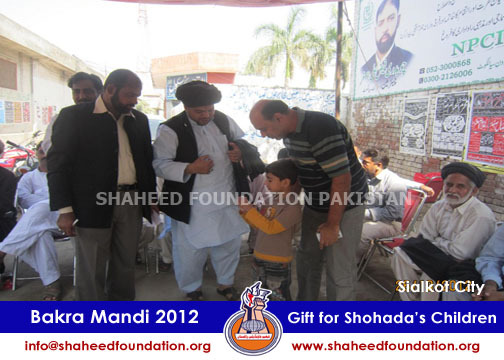 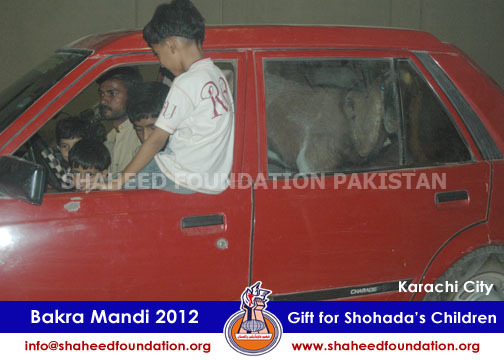 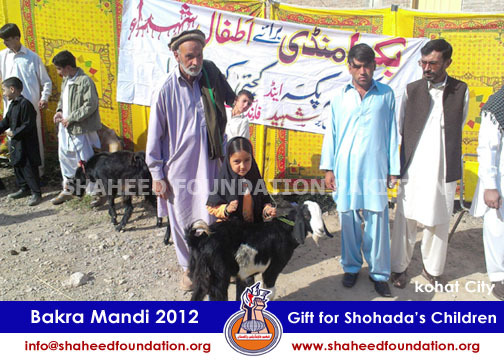 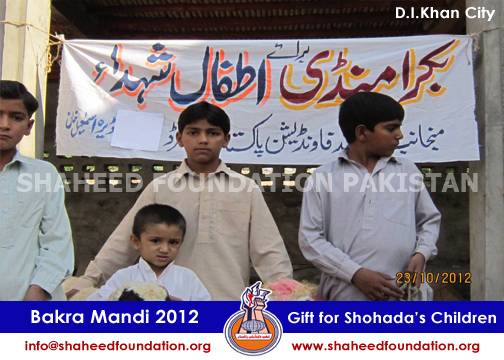 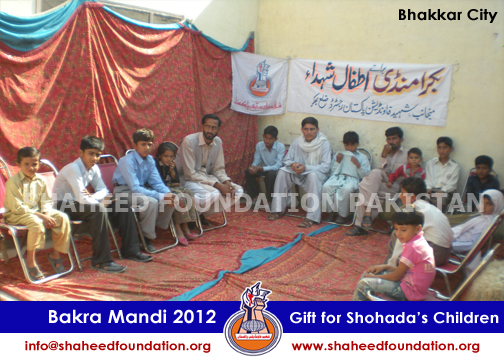 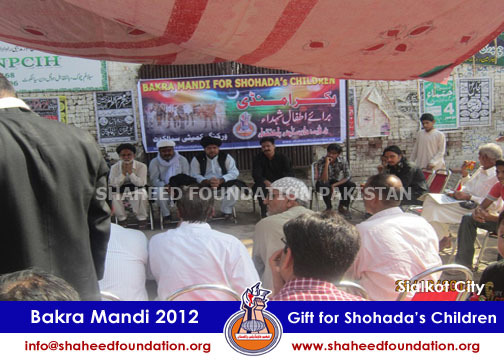 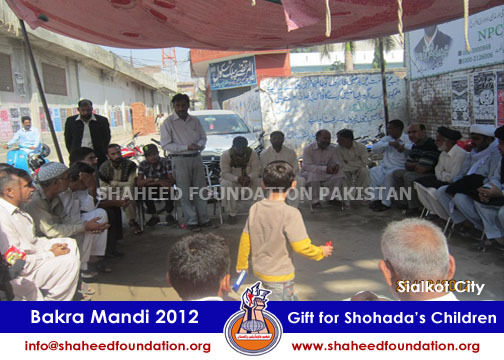 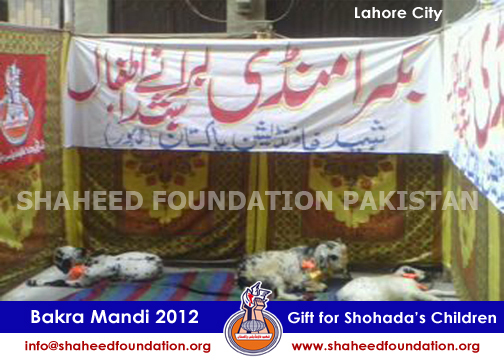 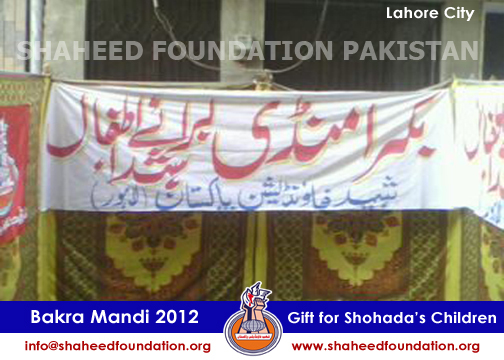 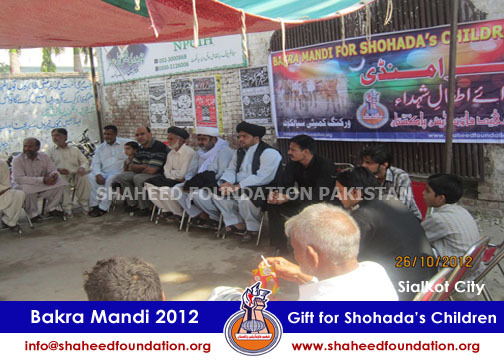 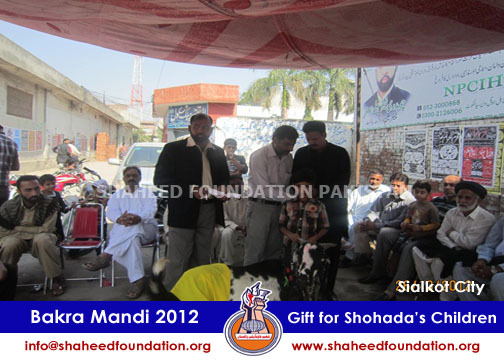 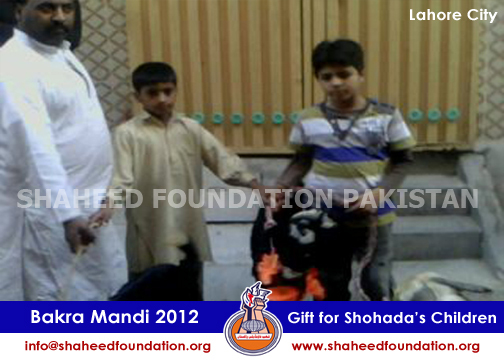 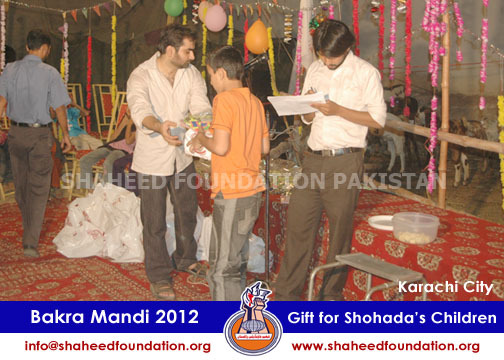 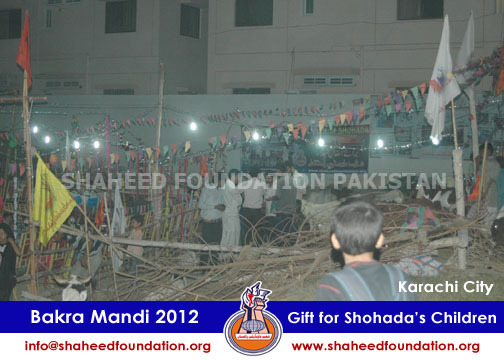 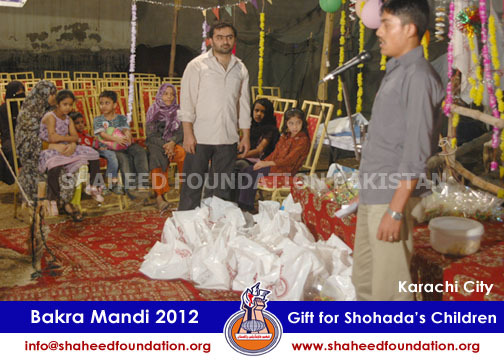 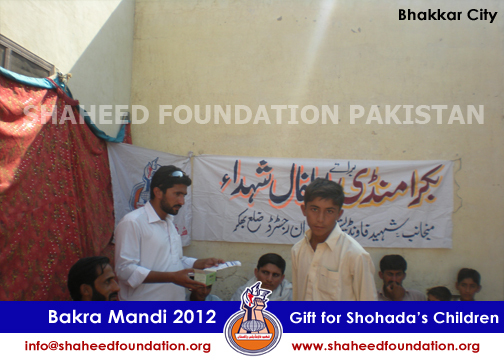 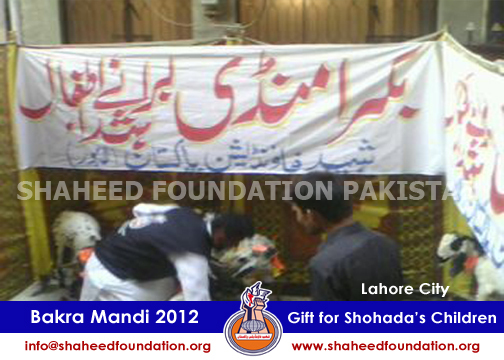 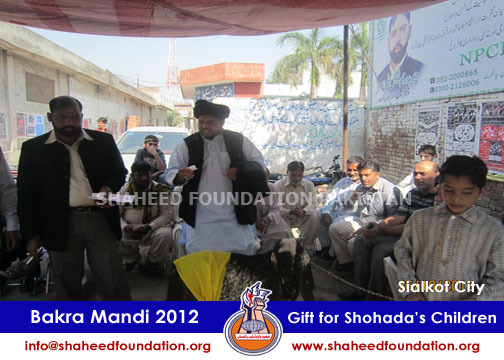 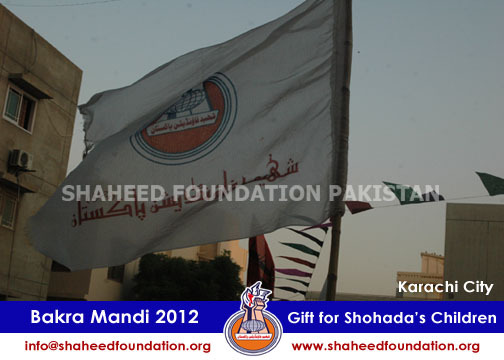 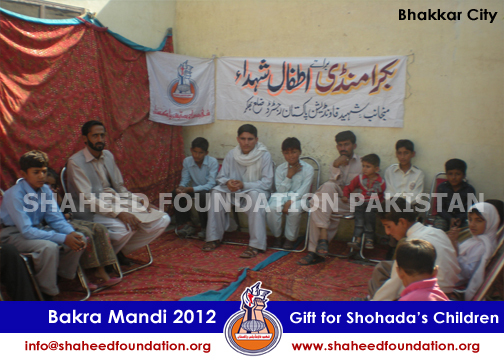 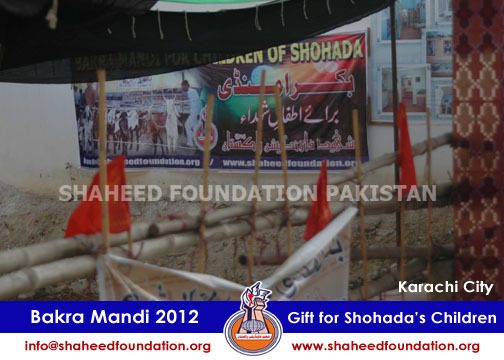 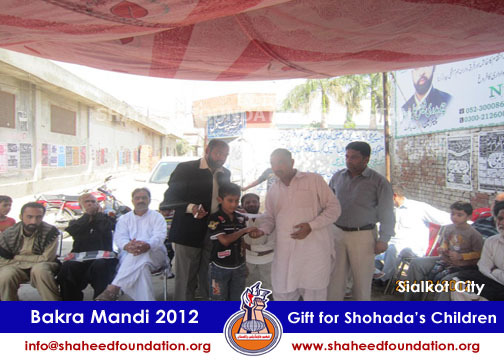 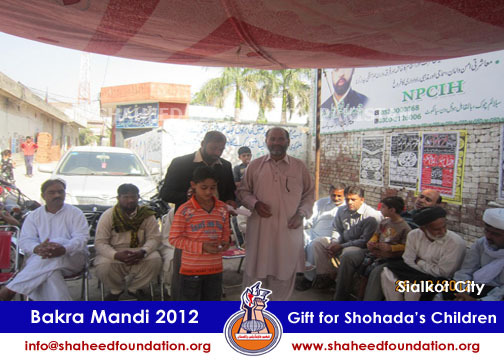 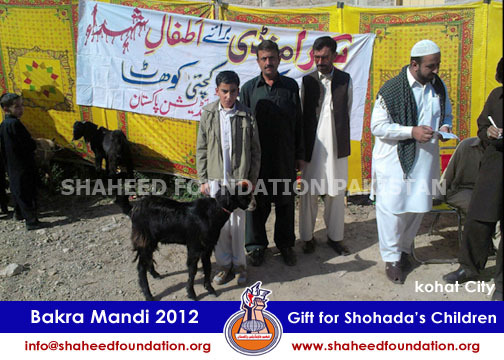 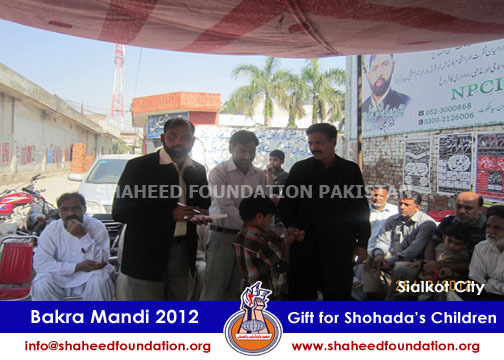 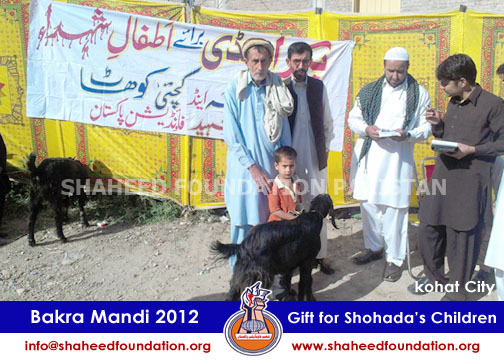 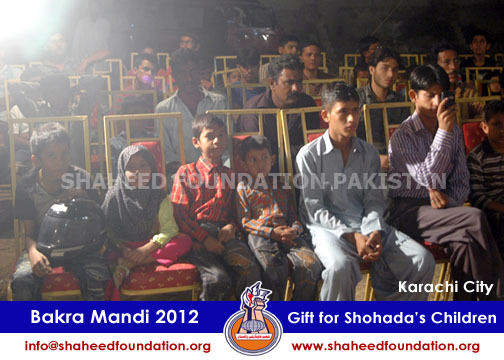 Shaheed Foundation Pakistan is currently supporting 1280 families of Shohada-e-Millat-e-Jaffaria across 49 cities of Pakistan with Rs.6,736,580 monthly . 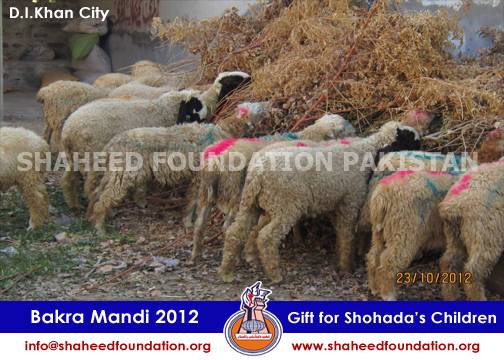 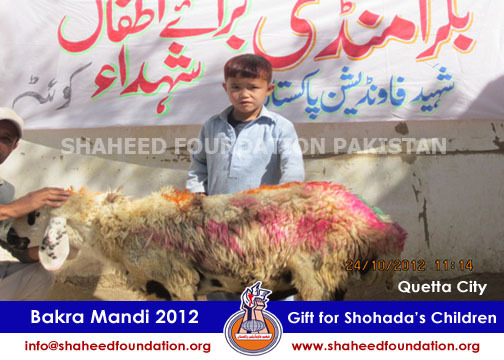 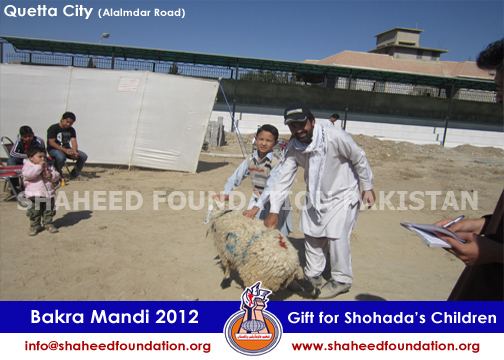 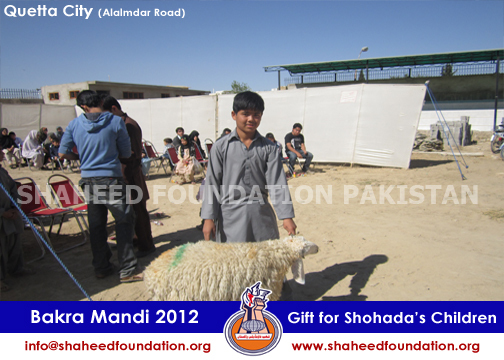 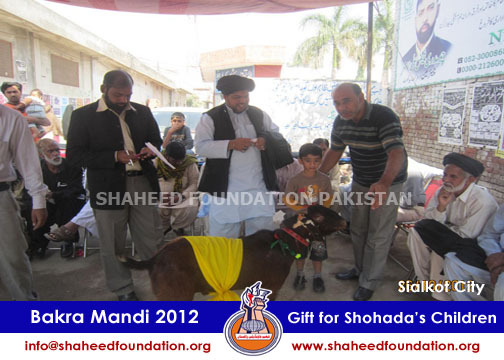 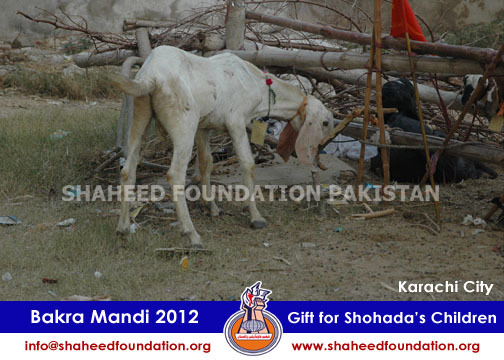 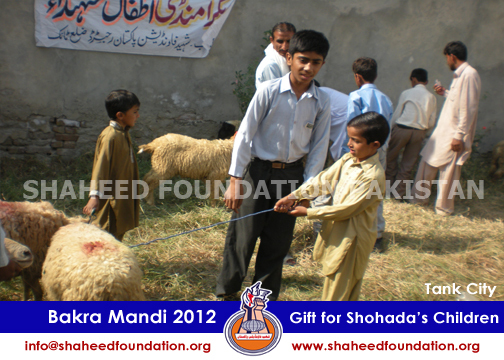 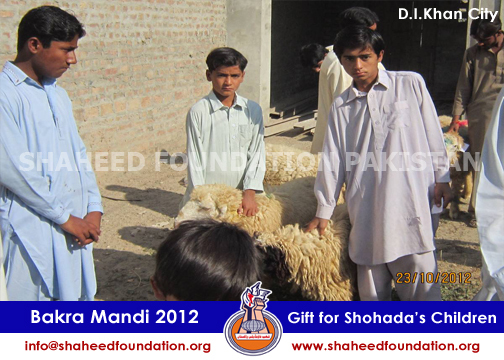 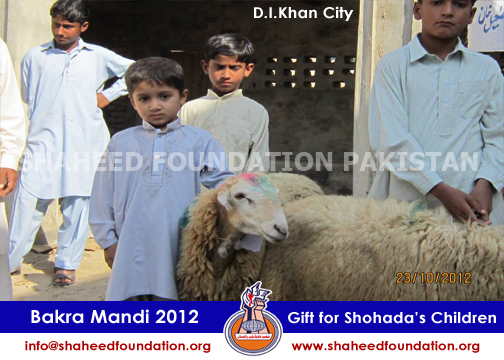 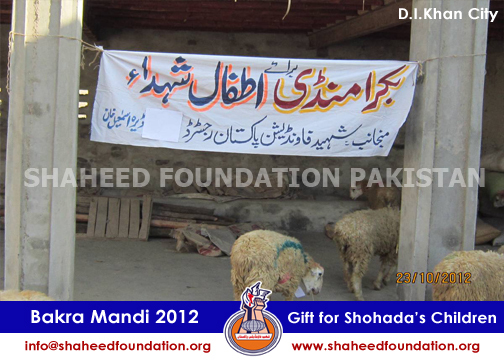 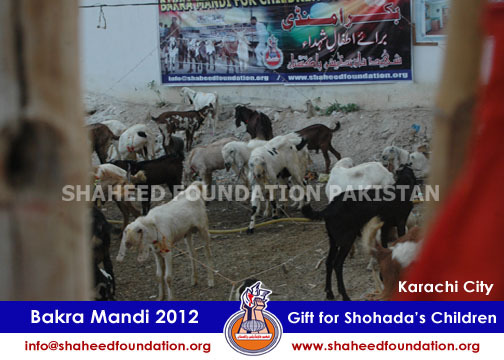 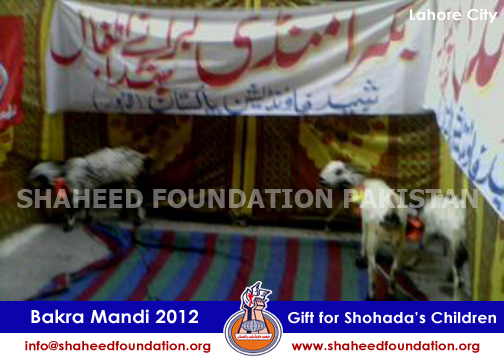 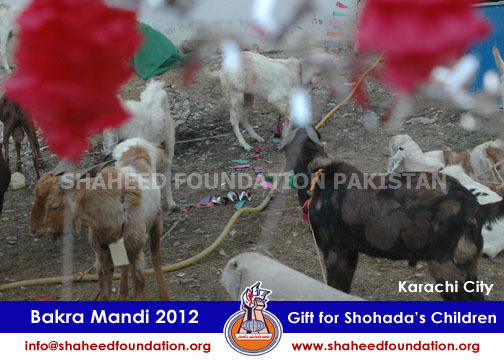 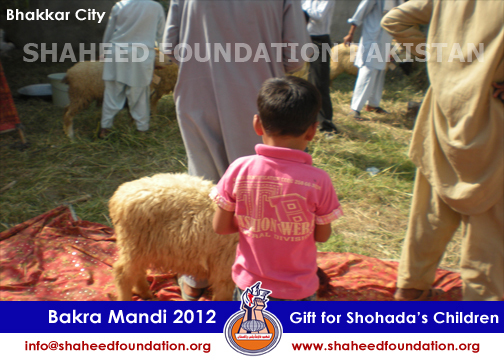 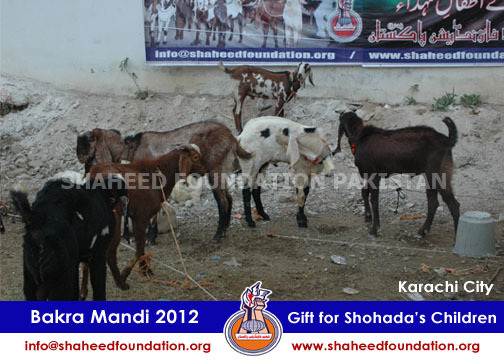 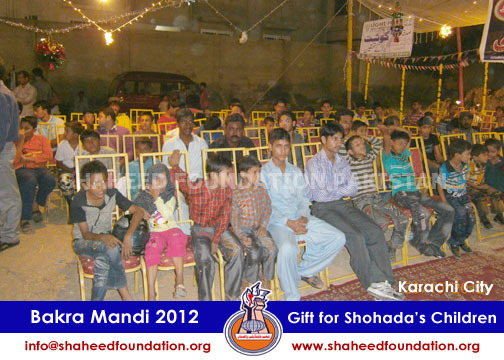 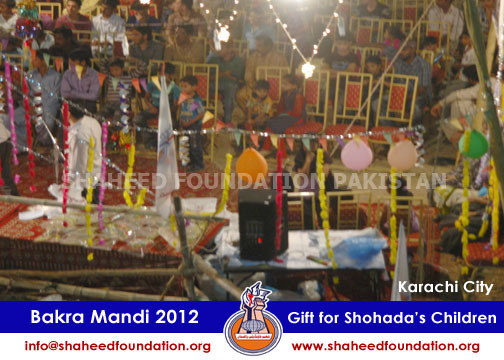 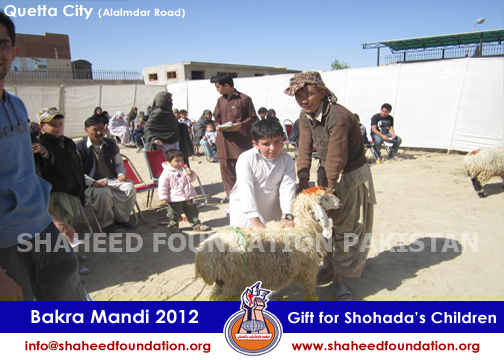 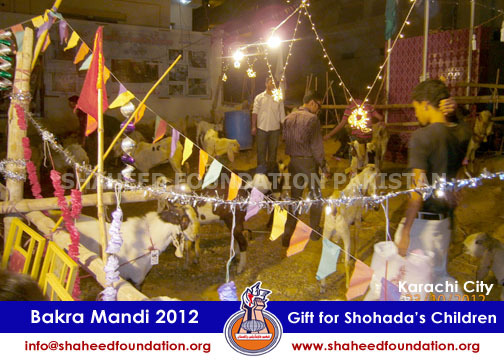 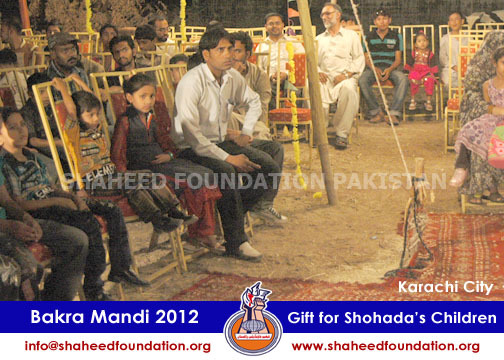 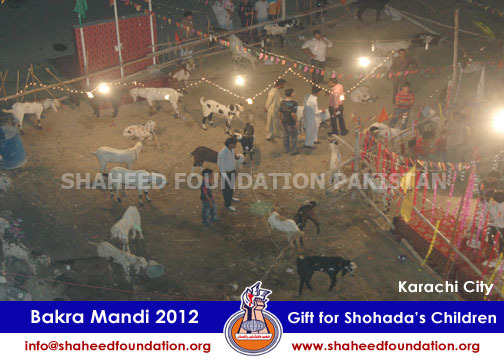 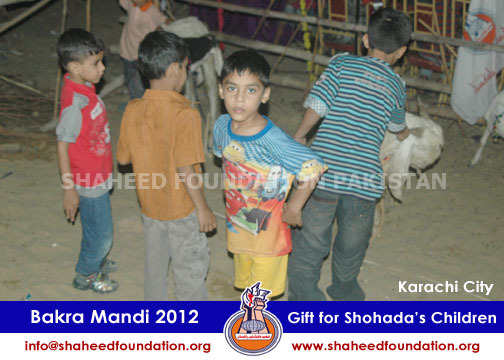 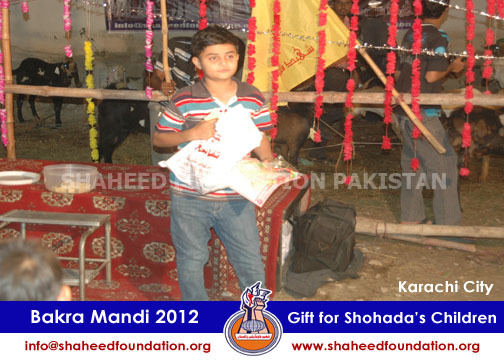 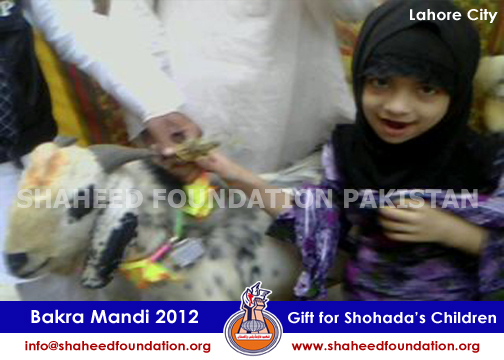 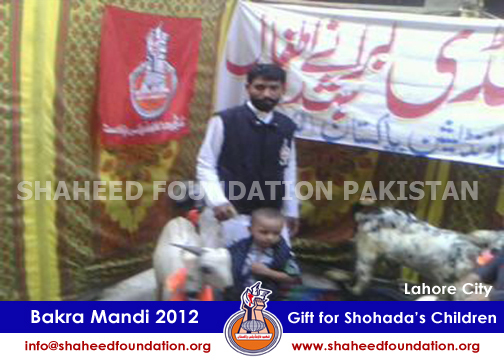 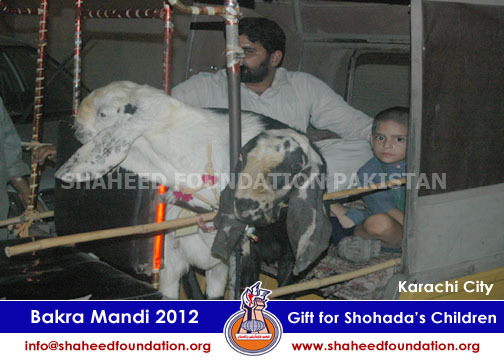 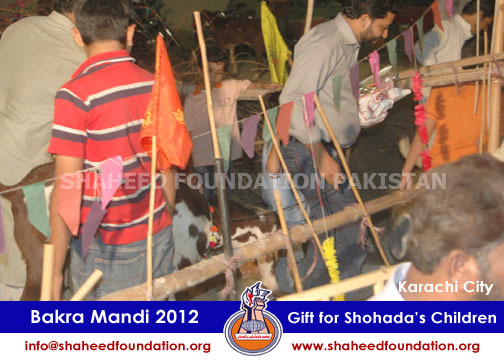 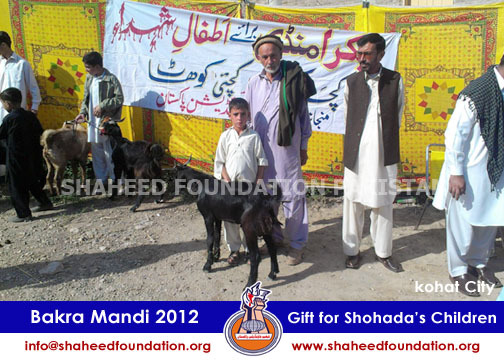 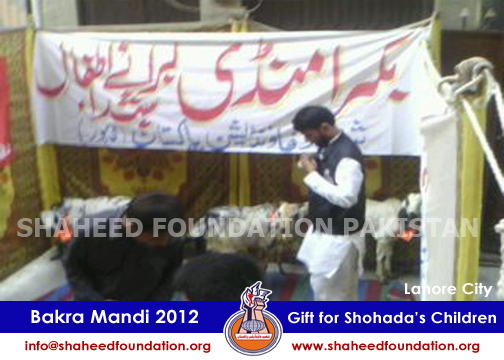 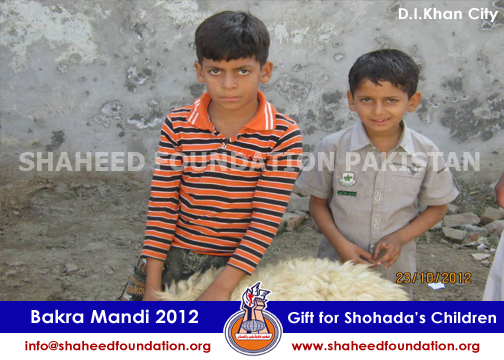 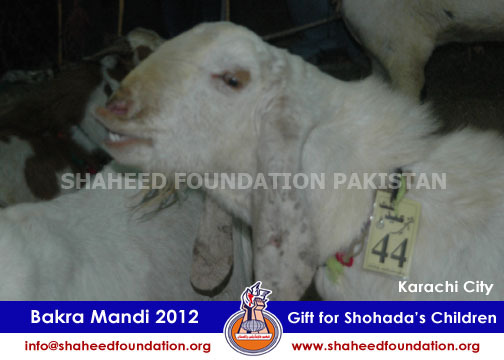 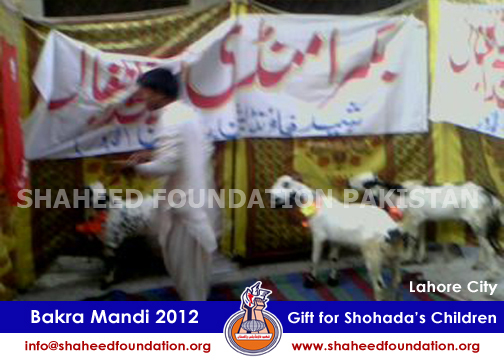 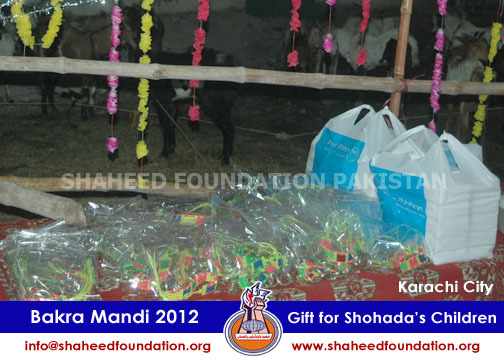 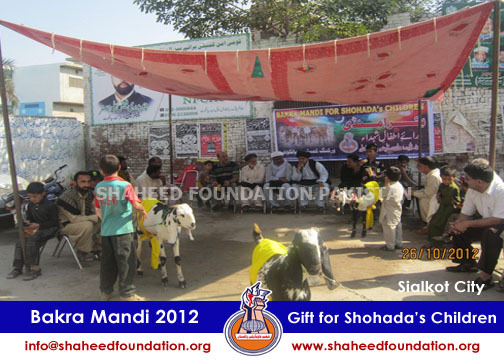 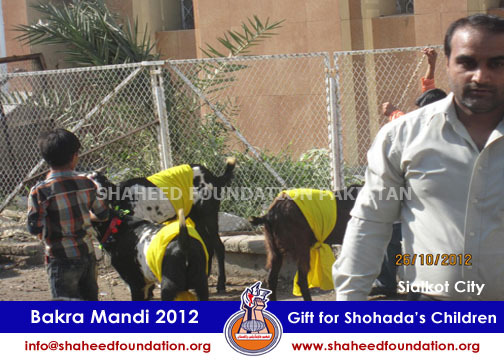 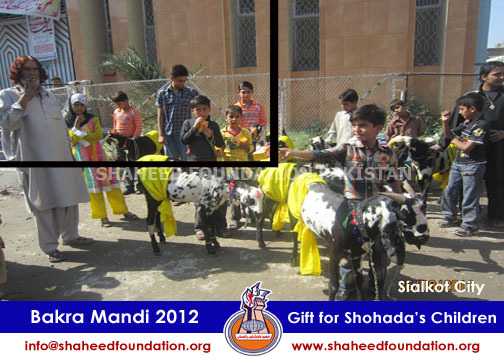 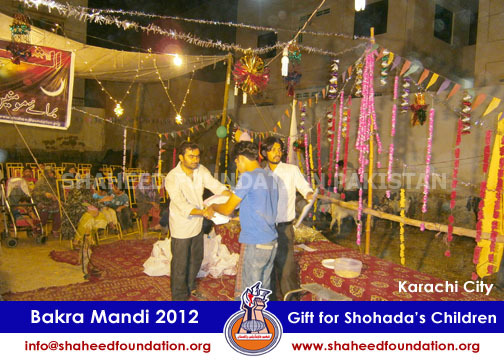 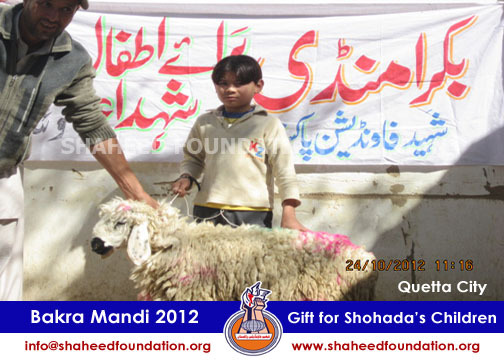 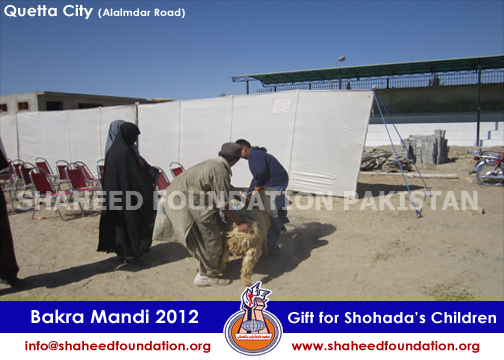 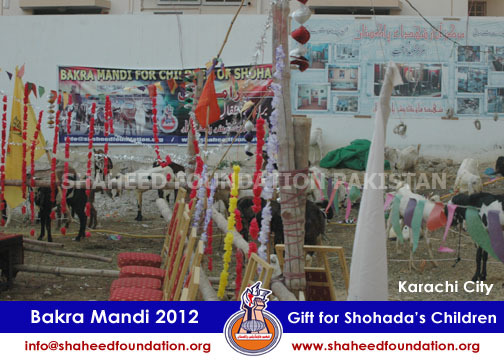 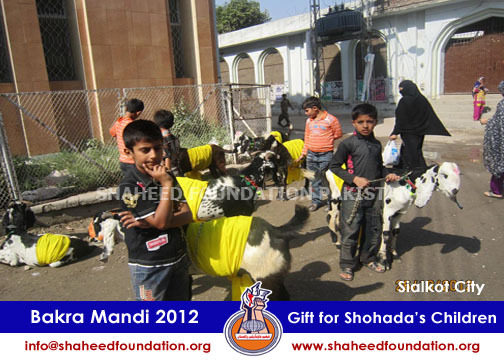 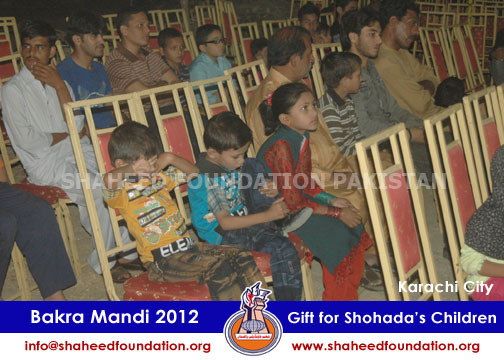 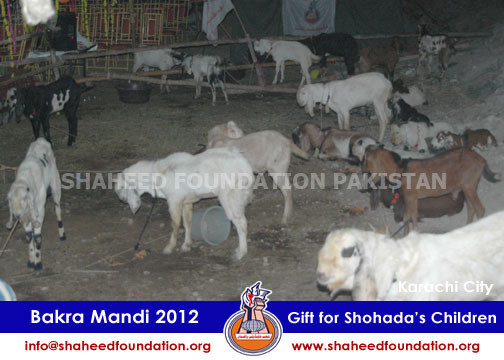 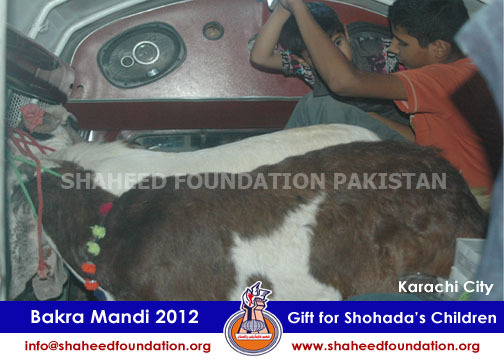 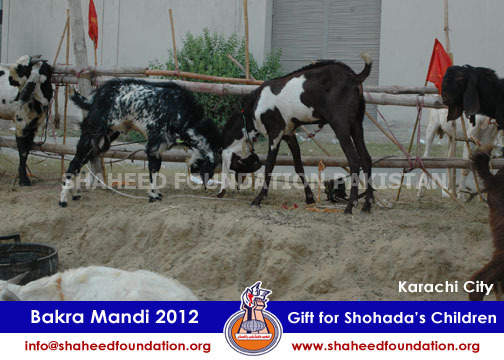 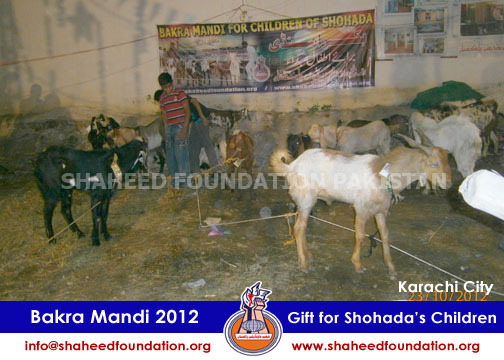 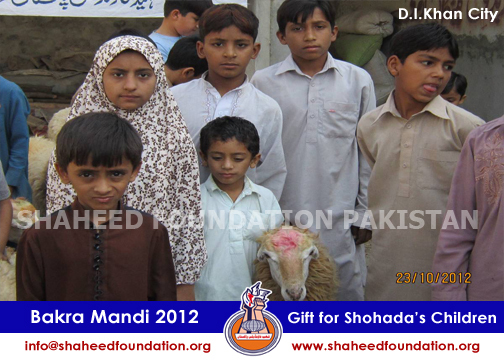 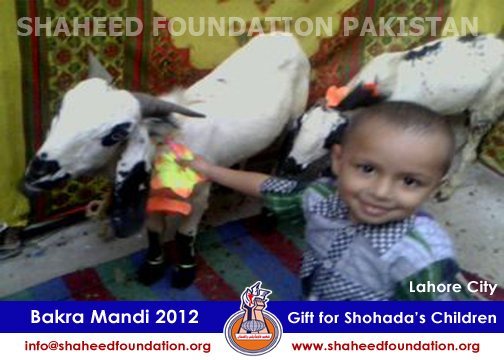 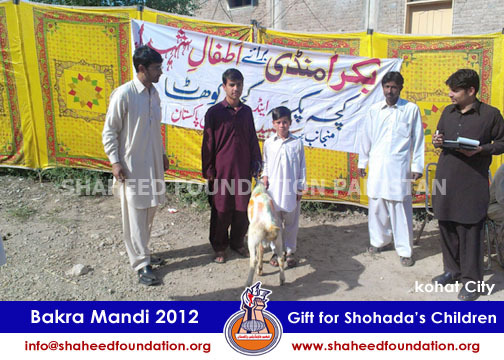 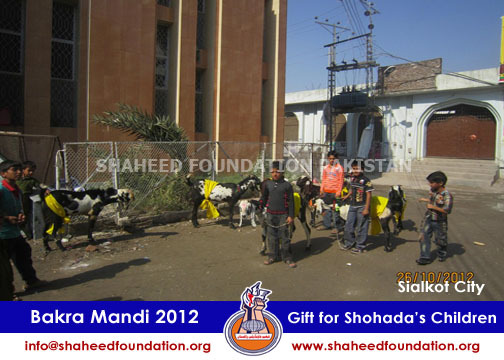 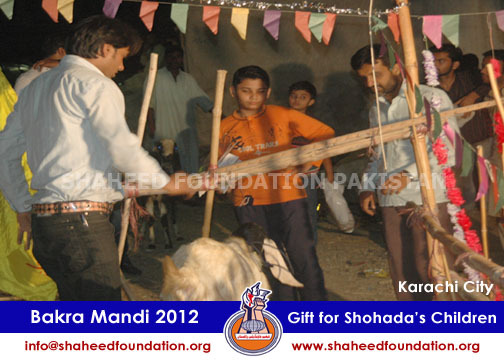 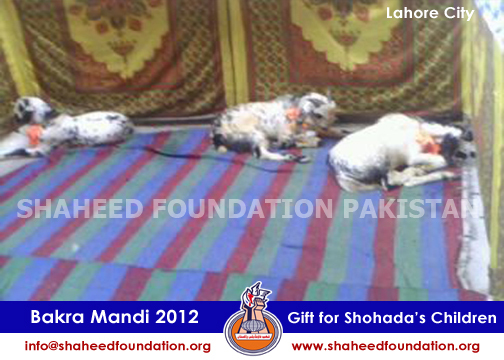 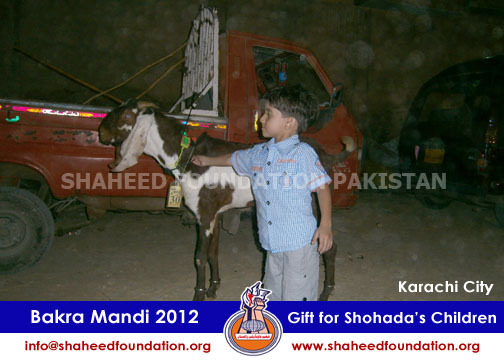 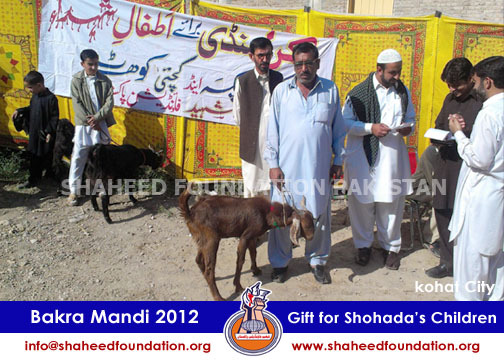 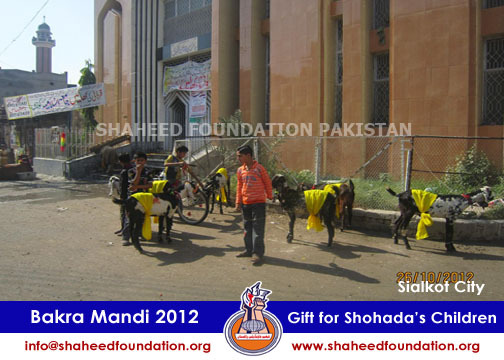 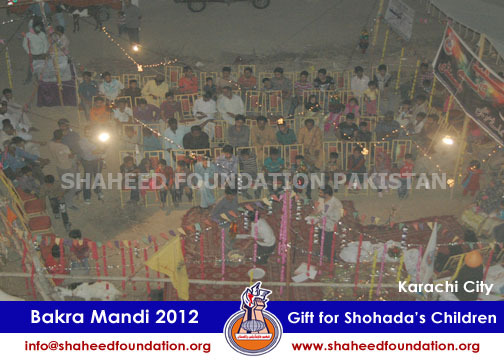 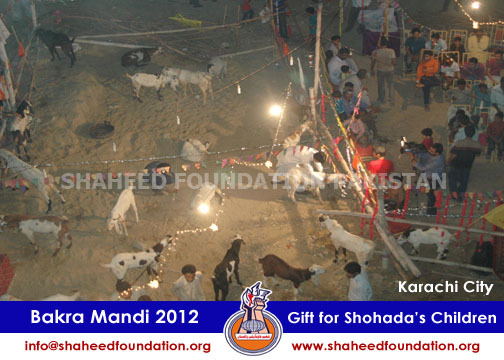 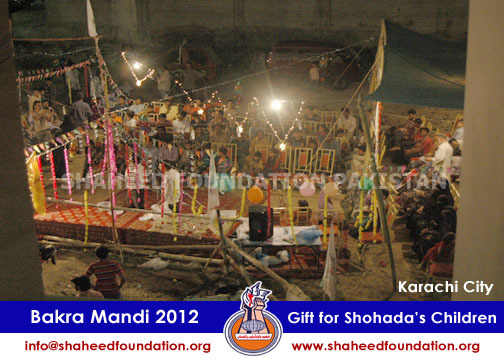 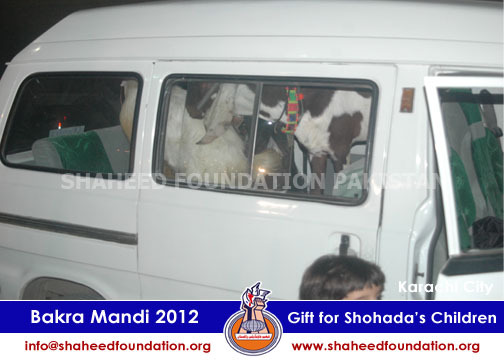 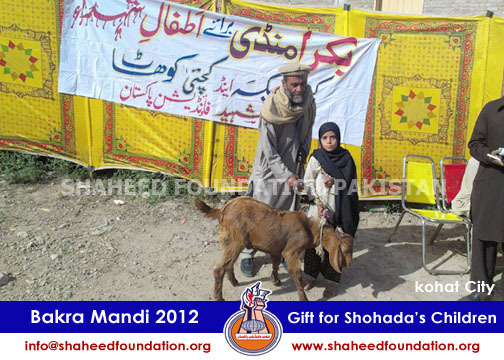 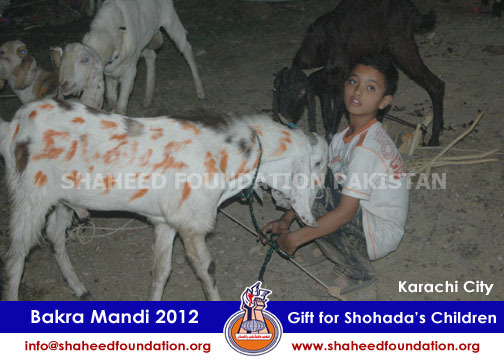 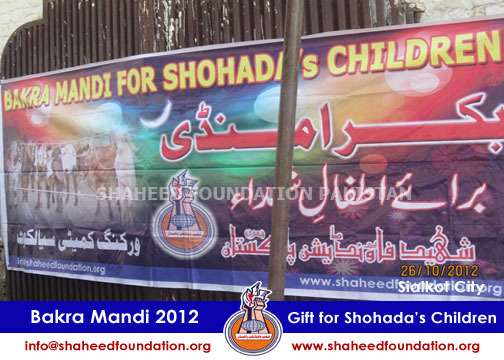 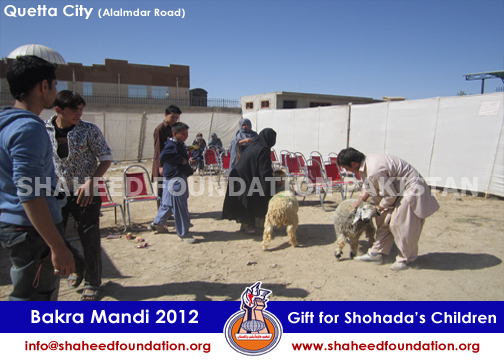 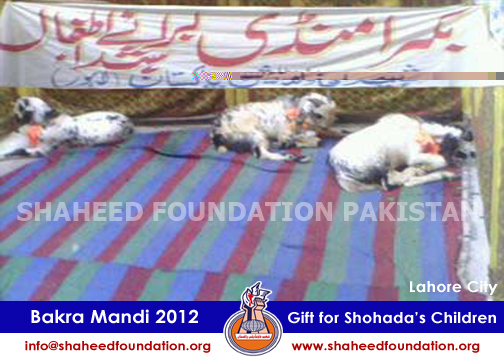 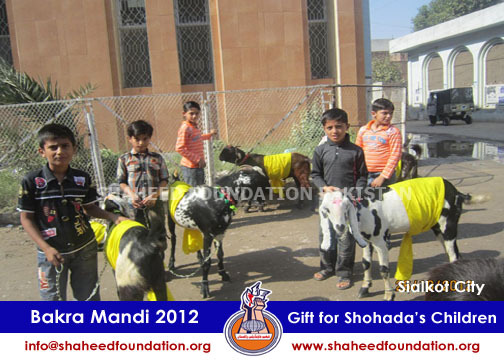 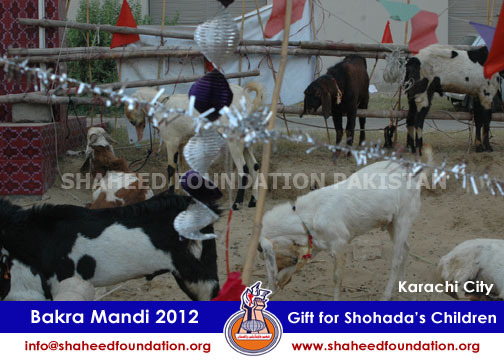 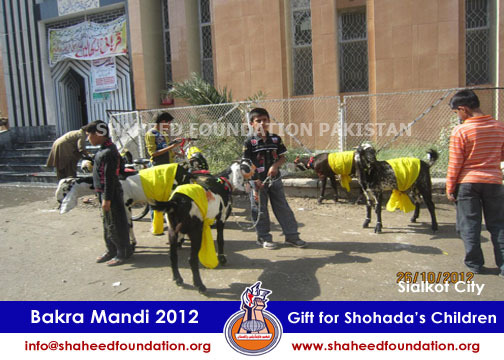 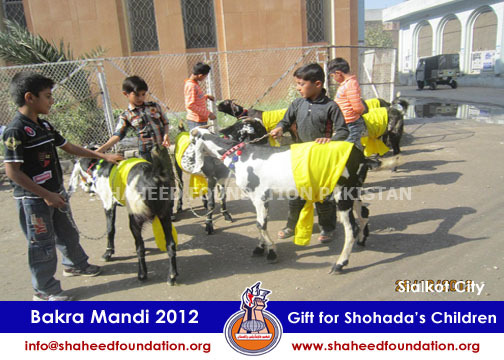 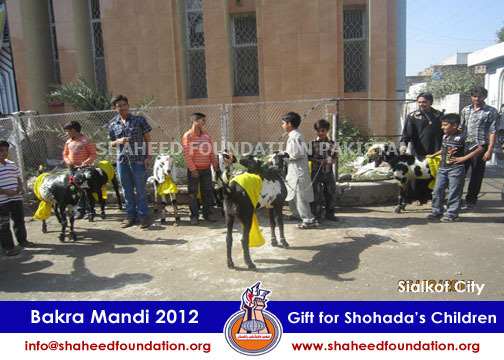 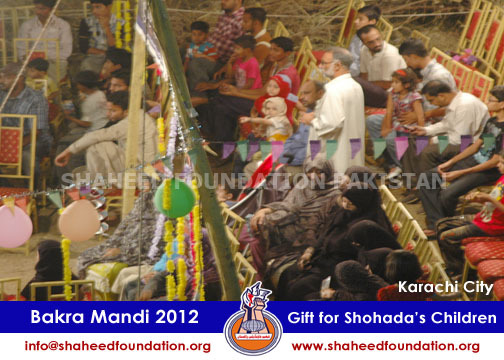 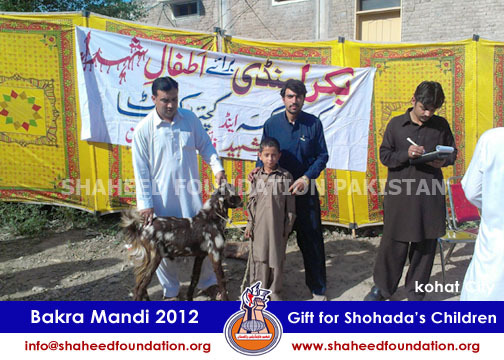 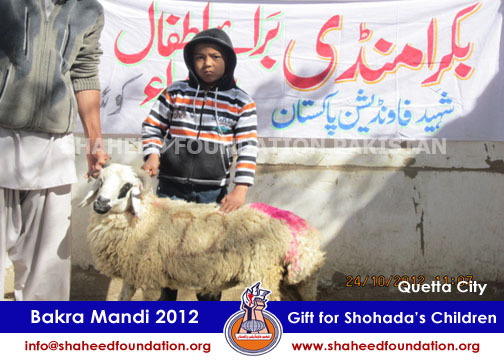 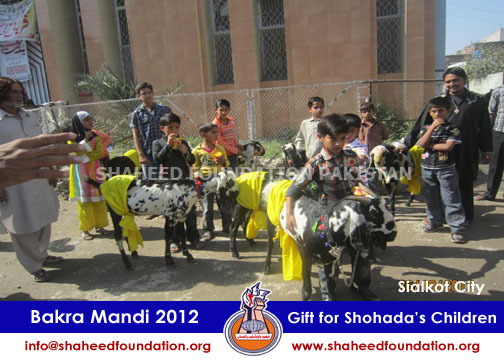 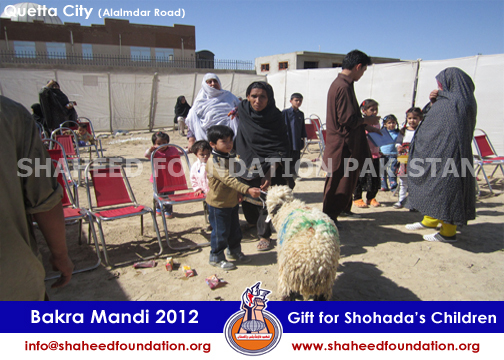 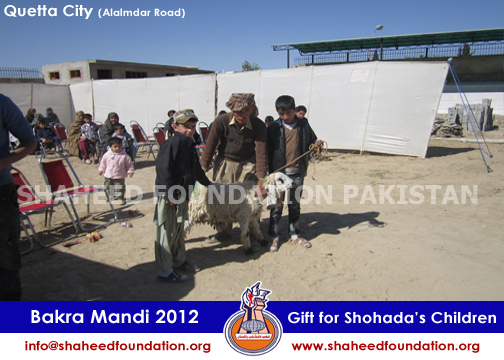 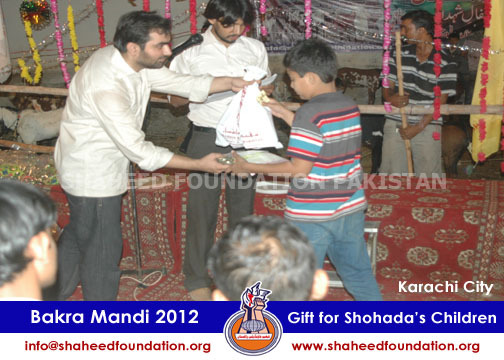 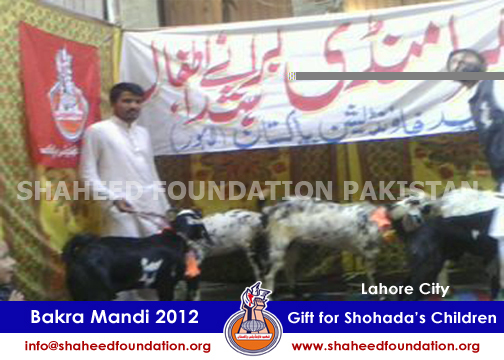 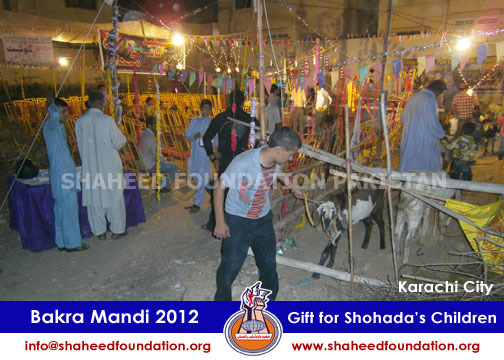 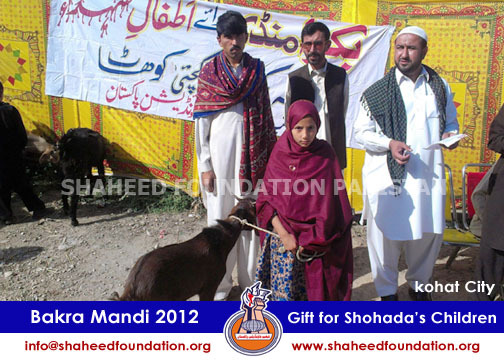 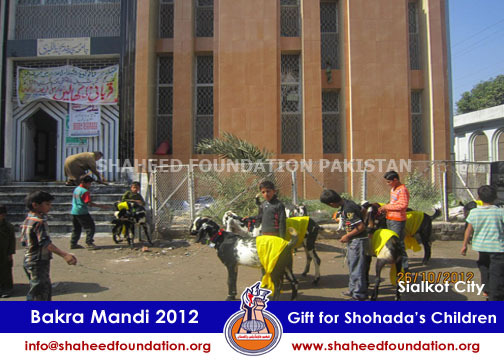 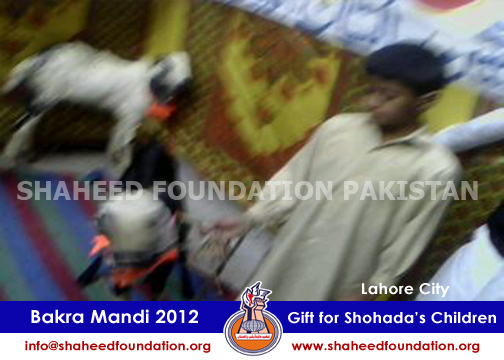 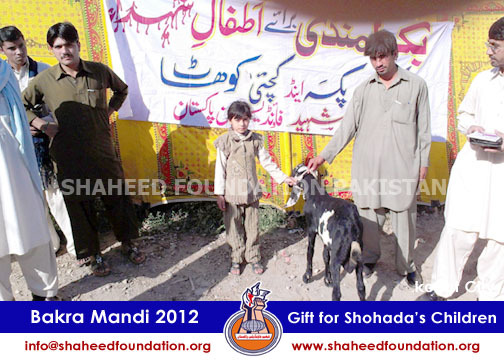 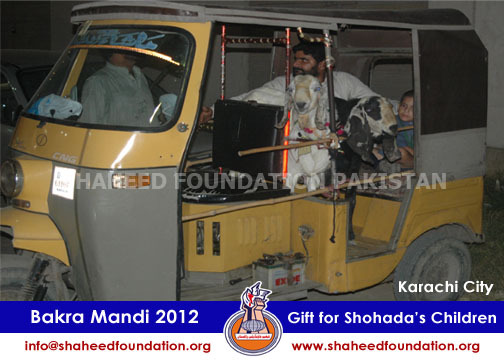 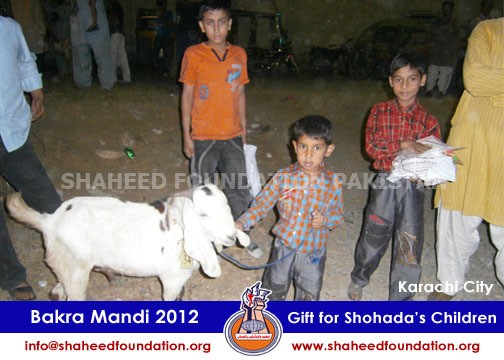 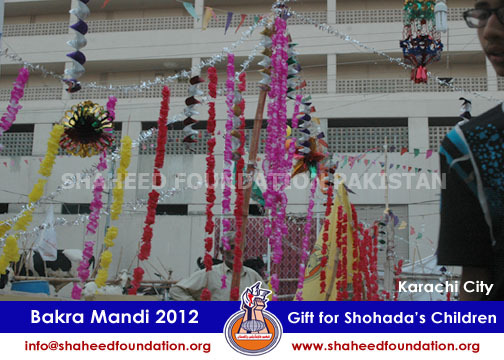 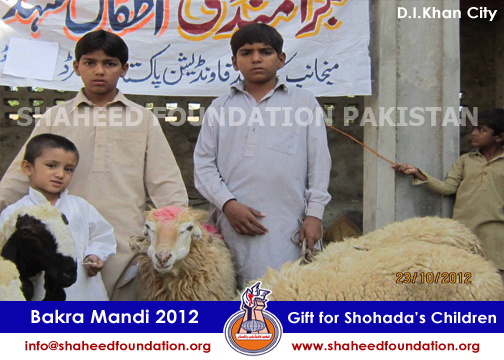 Alhamdulillaah keeping in mind the aspect of healthy entertainment that comes with spiritual training for children ,Shaheed Foundation Pakistan has arranged like yesteryears Bakra Mandi for Atfaal-e-Shohada in various cities of Pakistan. 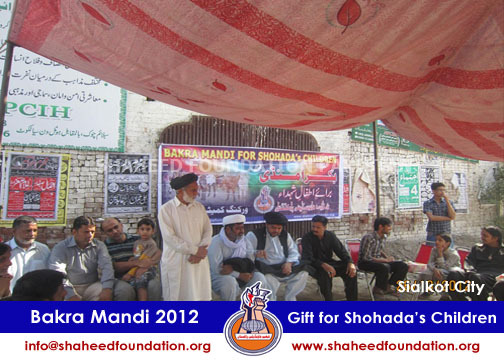 Lets wholeheartedly pray for his early re-arrival and earnestly work in our spheres to pave to the way for his return inshaallaah. 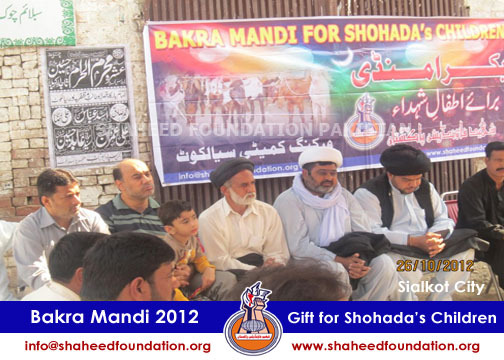 We request to Imam of our times from the deepest cores of our heart to please remember Khanwada-e-Shohada and the oppressed in your prayers especially on the eve of Arafah and Hajj as traditions have it that Imam personally attends Hajj each year. 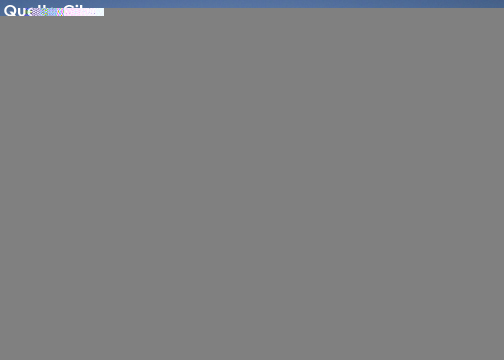 Allaahumma Ajjil Li Walliyakal Faraj !